With the rise of the two very large online cemetery indexes, FindAGrave.com and BillionGraves.com, it may be easy to forget that there are many other extensive lists of grave sites. Even if you are familiar with these two large cemetery indexes, you may not be familiar with Interment.net. This free website has records from thousands of cemeteries across the world. 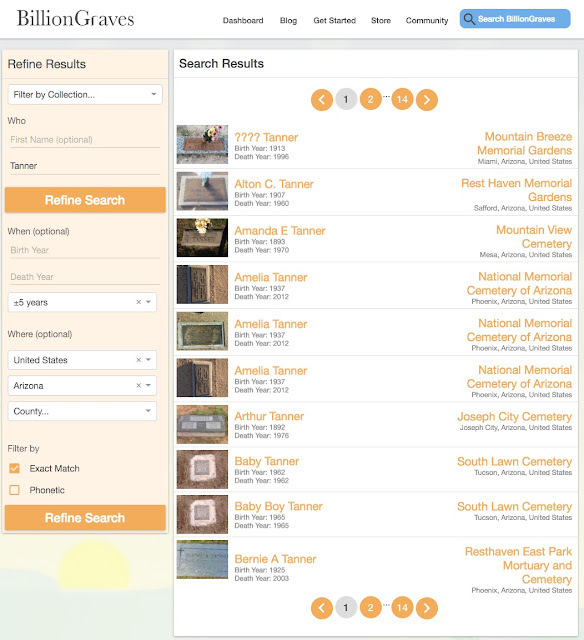 In addition to the very large websites, cemetery indexes or listings are found in many other websites online, in books and in records kept by active cemeteries around the world. Cemetery indexes can be very focuses and topical. For example, the Unites States Department of Veterans Affairs, National Cemetery Administration maintains an online Nationwide Gravesite Locator. With this website, you can search for burial locations of veterans and their family members in VA National Cemeteries, state veterans cemeteries, various other military and Department of Interior cemeteries, and for veterans buried in private cemeteries when the grave is marked with a government grave marker. Further information about veteran burials can be found with the website maintained by the Arlington National Cemetery. Veterans buried in other countries may be located on the American Battle Monuments Commission website. Another veteran related website in the Sons of Union Veterans of the Civil War grave database. Ancestry.com has several collections of burial records including a U.S. Military Burial Register. Because of similar names, to use any of these websites to find an ancestor's grave, you may need to do some research about the ancestor that will differentiate him or her from others with the same or similar name. Some of the details that help in this process are the same records that will help you extend your family lines. and very many others. You can find more online cemetery indexes by searching for "cemetery index." There are also a large number of books with detailed lists of cemeteries. Here is a representative sample. To find more, do a search for cemetery related terms on WorldCat.org. By the way, there are over 49,000 or so books listed. Betancourt, Philip P, and Kōstēs Davaras. The Pseira Cemetery. Philadelphia: The Institute for Aegean Prehistory Academic Press, 2003. Bonaventure Historical Society. Bonaventure Cemetery, Savannah, Georgia: Index, Sections A-H. Savannah, GA: The Society, 2000. Carmack, Sharon DeBartolo. Your Guide to Cemetery Research. Cincinnati, Ohio: Betterway Books, 2002. Cemetery Index, 1872-2003. Salt Lake City, Utah: Filmed by the Genealogical Society of Utah, 2003. Chester County Historical Society (West Chester, Pa.). Cemetery Index. Salt Lake City, Utah: Genealogical Society of Utah. Closson, Bob, and Mary Closson. Lancaster County, Pennsylvania Cemetery Surname Index. Apollo, PA (1935 Sampson Dr., Apollo 15613): Closson Press, 1988. Cooktown Cemetery Index: 1877-1986. Salt Lake City, Utah: Filmed by the Genealogical Society of Utah, 1986. DeBolt Cemetery (Arnett, Okla.). Cemetery Index and Plat. Salt Lake City, Utah: Filmed by the Genealogical Society of Utah, 1991. Fairview Cemetery (Coffeyville, Kan.), and Church of Jesus Christ of Latter-day Saints. Genealogical Committee. Cemetery Records. Salt Lake City, Utah: Filmed by the Genealogical Society of Utah, 1958. Huber, Norma, Ontario Genealogical Society, and Waterloo-Wellington Branch. Mount Hope Cemetery, Waterloo City: Master Index. Kitchener, Ont. : Waterloo-Wellington Branch, Ontario Genealogical Society, 1992. Maine Old Cemetery Association, and Picton Press. “Picton’s Cemetery Inscriptions.” Picton Press, 2006. Nichols, Joann H, and Vermont Historical Society. Index to Known Cemetery Listings in Vermont. Montpelier, Vt. (109 State St., Montpelier 05609-0901): Vermont Historical Society, 1995. Northwest Indiana Genealogical Society. Ross Township & Winfield Township Cemeteries, Lake County, IN: Row by Row, Each Alphabetical, Ross Township Cemetery Index, Winfield Township Cemetery Index. Valparaiso, Indiana: Northwest Indiana Genealogical Society, 1995. ———. Ross Township & Winfield Township Cemeteries, Lake County, IN: Row by Row : Each Alphabetical : Ross Township Small Cemetery Index, Winfield Township Cemetery Index : Ross Township, Chester Cemetery, Holtzworth Cemetery, Merrillville Cemetery, St. Peter & Paul Cemetery, Sturdevant/Dennis Cemetery, Woodvale Cemetery : Winfield Township, Deer Creek Cemetery. Valparaiso, IN: Northwest Indiana Genealogical Society, 1995. Oklahoma Home and Community Education. Roger Mills County Cemetery Index. [Place of publication not identified]: [Oklahoma Home and Community Education], 2007. Pfanz, Harry W. Gettysburg--Culp’s Hill and Cemetery Hill. Chapel Hill: University of North Carolina Press, 1993. Zephyr Cemetery Association. Zephyr, Texas Cemetery: Index Key to Gravesite Locations. [Zephyr, Tex.? ]: Zephyr Cemetery Association, 1988. In each case, you should check to see whether or not a potentially helpful book has been digitized and is available online. Otherwise, you may need to check with your local library to see whether or not the book or books can be ordered through Interlibrary Loan. If you want to get in your car or otherwise make arrangements to travel to a cemetery, you will likely have an interesting experience. In some cases, it is entirely necessary to do so. But before you do, I suggest you spend some time doing intensive online research. You may find that the information you are seeking is already available. When I asked why genealogists don't ask more why questions, what I meant was why they don't realistically think about what they put into a family tree. 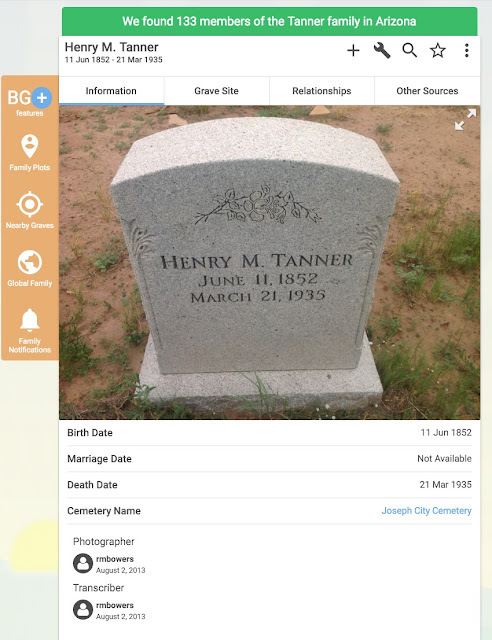 I likely have tens of thousands of Tanner relatives and many of them have access to and are in the FamilySearch.org Family Tree. By the way, if you really care to look, any registered user can go to this family line and look at what is in the Family Tree. Notwithstanding this abundance of potential research power, the family line, as shown in the Family Tree is entirely unsupported, conjectural and unrealistic. No effort has been made to connect a line of Tanner's in England to the William Tanner LH2G-FGG who appears in Rhode Island in 1680. When I have communicated with some who claim to have found a link from Rhode Island to England, the researcher has never provided me with any documentation. The basic issue here is when a pedigree reaches an unestablished ancestral link, it ceases to be factual and becomes fantasy. This is commonly done by careless and ignorant researchers trying to connect their family to a famous person or royalty or both. In the case of the Tanner line in Rhode Island, there are two major issues: establishing a connection between the historical William Tanner (b. abt 1662 probably in England) and his commonly listed son, Francis Tanner, (b. 1708 in Rhode Island, d. 1777 in Rhode Island). The life of this Francis Tanner is well documented. However, most of the documentation has yet to be entered into the Family Tree. Why? Because the Family Tree does not yet work adequately for this particular family. Down the line a bit, is my Third-Great-Grandfather, John Tanner who is an IOUS or Individual of Unusual Size. Here is a brief explanation of this issue. When this particular issue is resolved, I will be one of the first to start back through this line that I have researched and add all the documentation. I may even resolve the issue of whether or not there is an extra William Tanner who is the father of Francis and the son of the immigrant William Tanner. But I used this as an illustration of how nearly every family line in nearly every family tree online has similar problems. In have examined literally thousands of individual's family trees. In every single family tree I have examined the lines either end or dissolve into fantasy. This Tanner line is an excellent example of the fantasy alternative. 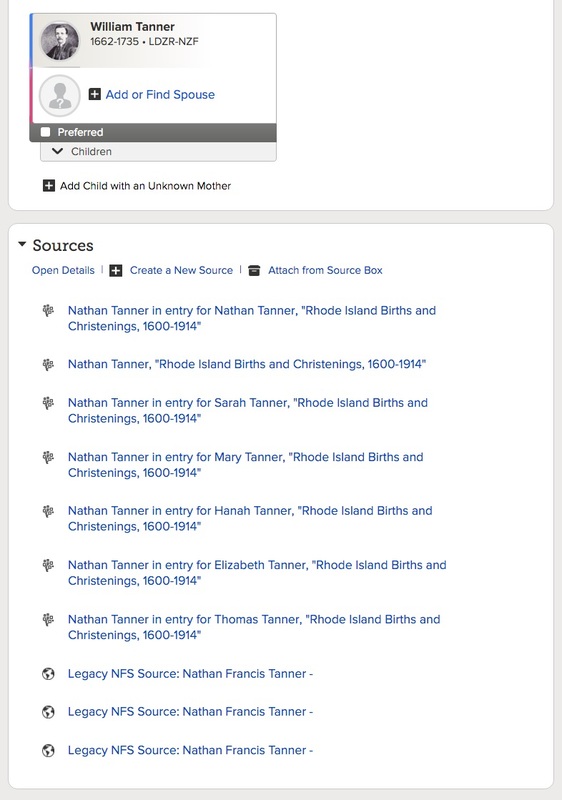 As soon as the Family Tree is completely separated from new.FamilySearch.org, I will delete the relationship between the Rhode Island William Tanner and any unsupported parentage. 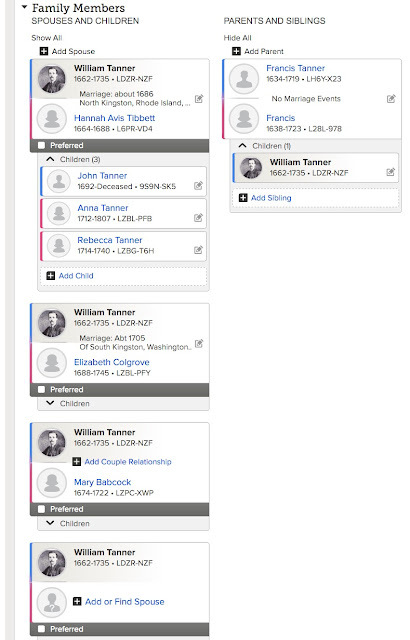 Also, there are possible duplicates for William Tanner that cannot be merged at this time. I will also merge all of the duplicates that cannot be resolved at this time. I might also clean up the fact, that I didn't mention before that he is shown on the Family Tree with eight different wives. There is no real sense in working on this line until the issue of the IOUSs is resolved. Here are a few of the William Tanner ID numbers that are floating around on the Family Tree. Each of these has several different wives attached. Here is one interesting example. This William Tanner alternative is shown as born in Surrey. So the Family Tree has William Tanners from Surrey, Kent, Wiltshire and Rhode Island. This particular William Tanner iteration has seven wives. You might notice that William Tanner LH2G-FGG is born in Surrey and christened in Somerset. Chipstead, Surrey is about 175 miles west of Dunster, Sommerset. Excuse me if I don't believe that the birth and christening records refer to the same person. Oh, one other fact, if you do a general search for the name "Tanner" in the UK on Findmypast.com you will find that there are 283,667 Tanners listed. If you repeat the same search for the surname in approximately 1667, you get 10,260 individuals and 832 of them are named "William Tanner." Take your pick because apparently those who have entered all this stuff into the Family Tree have certainly taken their own pick. 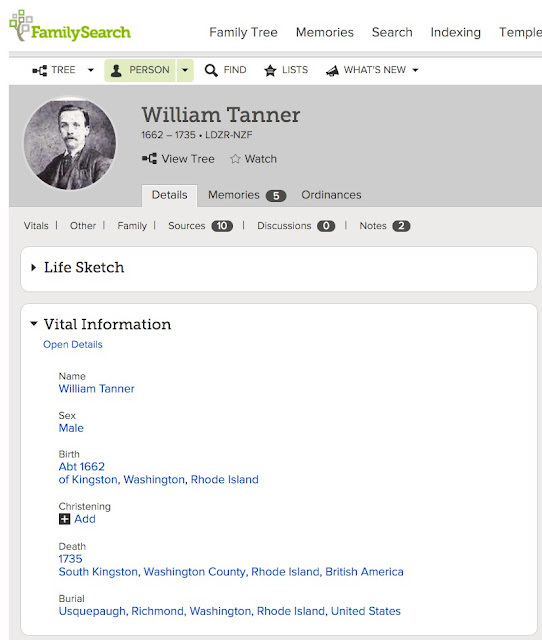 I am still waiting for someone to show me one record or one document that connects the William Tanner in Rhode Island with any one at all in England. If you want to step off into the Fire Swamp, be my guest. I have been going back into my family tree for a couple of years now documenting each successive generation. This persistent documentation has resulted in an interesting discovery. Every single family line on every single online family tree eventually reaches a point where there is absolutely no documentation and successive generations are pure speculation or fantasy. In short, genealogists or would-be genealogists feel compelled to add generations of "ancestors" that are entirely fanciful. My question is why? My initial reaction is to attribute this consistent lack of reality to perverse ignorance. But I think the reasons are much more complex than simple stupidity or ignorance. One facile excuse is the unexplained phenomena of "same name = same person." But again, I think the issue goes well beyond that excuse due to the consistency of the issue. Before I go further, let me illustrate how completely universal this problem has become. I fully realize that my comments in this regard will be assumed to be founded in elitism and snobbery. But without knowing it, I encountered this phenomena many, many years ago, before online family trees even existed. 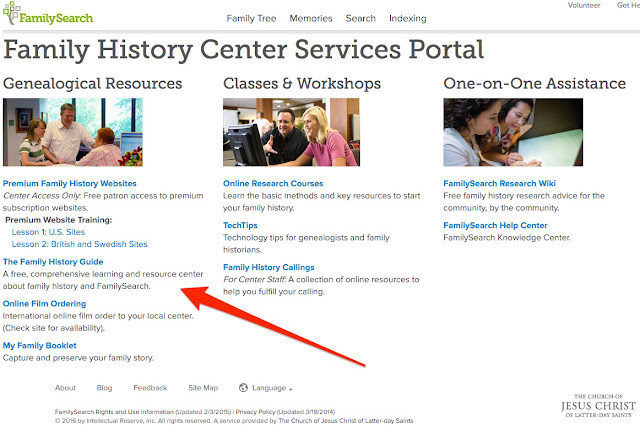 Having so much "genealogy" easily accessible online merely puts this entire problem in plain sight. In choosing these examples for illustration, I rely on a number of factors that indicate fantasy. Here is a sample list of some of the criteria for my determination that an online family line has passed over boundary of reality into fantasy. My fully documented and researched information indicates that the next person shown on the family line is not known despite the existence of a name, date and etc. The information shown on the family tree is entire contradictory and impossible. The names on the family line are fabricated with no possible basis in reality. The claimed dates and places are so inconsistent with historical facts that the information cannot possibly be correct. 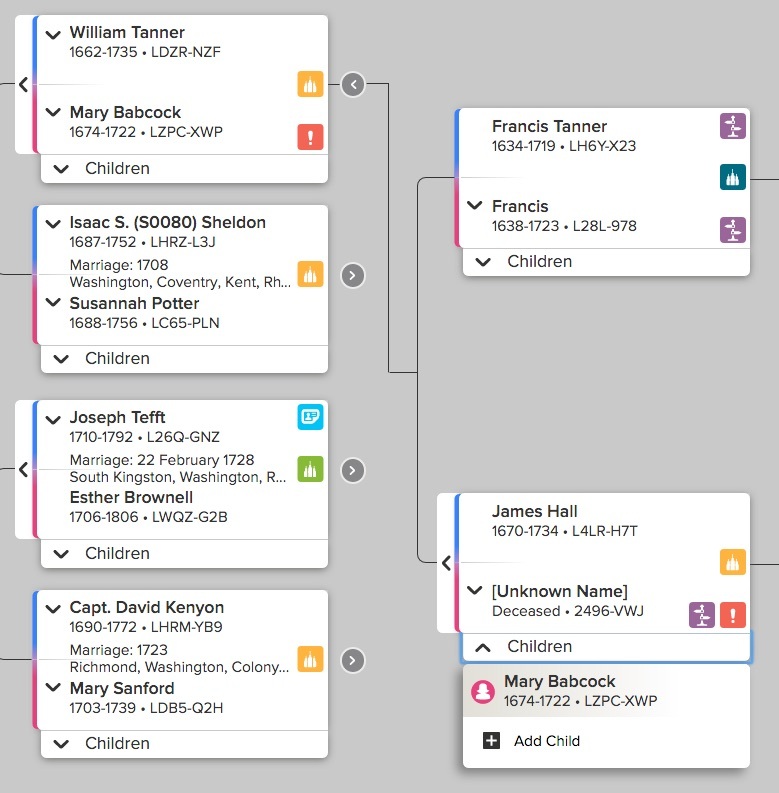 I could systematically go through every single line on one of the online family trees and show that some other line continues past the point of reality, but fortunately, I have several unified online family tree programs that I can use an examples. 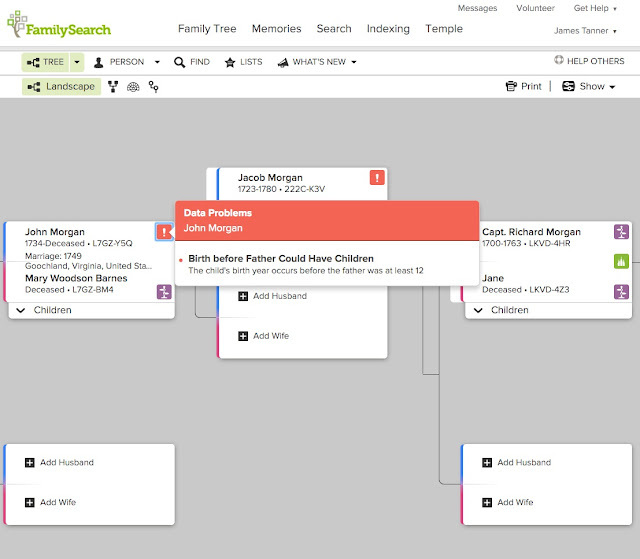 However, in this case, I will confine my examination to the FamilySearch.org Family Tree due to the ease of illustrating the issues. This is an easy example. I spent a considerable amount of time examining and researching this line beginning many years ago. My investigation showed that the most distant Tanner ancestor appears in Rhode Island in about 1680. Here is what is presently in the Family Tree. This is my most egregious example due to the fact that there are so many conflicting opinions about this family. I will mention that "William Tanner's" pedigree continues back into the past from this point for five additional generations ending with a Matthew Tanner supposedly born in 1510. 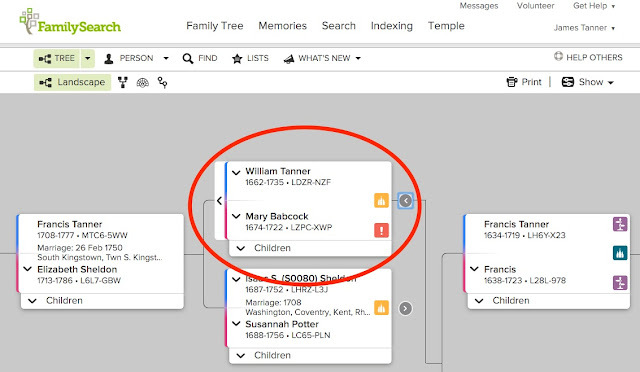 The first problem with this line is the red icon that shows that the listed mother, Mary Babcock, was born when her listed father, "James Hall" was four years old. There are ten sources listed for William Tanner (b. 1662, d. 1735). If you assume that these are accurate dates for his birth and death, how do you account for the existence of a photograph? If you do not see the point of the last question, perhaps you are part of the problem. Just to start, I happen to have personally visited the documented gravesite for William Tanner and his two wives in West Kingston, Rhode Island. So I do not have to go too far to demonstrate that the information is not only impossible but also incorrect. Further, the entries show four wives, one of which is unknown. Interestingly, all of the sources listed for "William Tanner" are for someone known as Nathan Francis Tanner. Sources do exist for William Tanner but so far none of my esteemed relatives have seen fit to add them to the program. I have been purposefully ignoring this program because there are possible duplicates that cannot be merged at this time. I am also ignoring the problem because the line actually ends with Francis Tanner, (b. 1708, d. 1777) and there is no positive evidence that the William Tanner found in Rhode Island in 1680 is his father. There may be one more generation between the original William Tanner and Francis. Must I point out that there are presently no records that connect my William Tanner line to anyone in England although the present condition of the Family Tree shows him with a father born in 1634 in Rhode Island, United States for which there are no sources cited. By the way, the official name of Rhode Island is the "State of Rhode Island and Providence Plantations." It is also interesting that the supposed father, Francis Tanner was born in Rhode Island is 1634, two years before the arrival of Roger Williams from Massachusetts. It is strange that history makes no mention of the fact that the Tanners had already settled Rhode Island when Roger Williams arrived!!! So here we have graphic illustrations of most of my points outlined above. 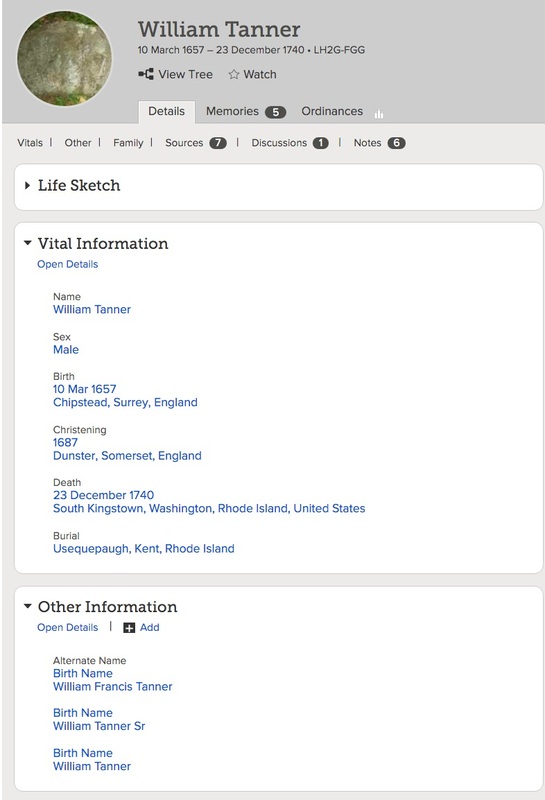 Despite claims to the contrary, the parentage of William Tanner has never been established and those claiming to have identified his parents in England have never produced one document or other record connecting William Tanner to England or any other possible place of birth. I may have failed to mention that in some cases the family lines just stop. This is a very reasonable situation and is much more preferable than making up further connections. But unfortunately, rather than admit defeat, there seems to be a tendency to continue onward with fantasy. Why? This post is already getting long, but I will venture one more example. 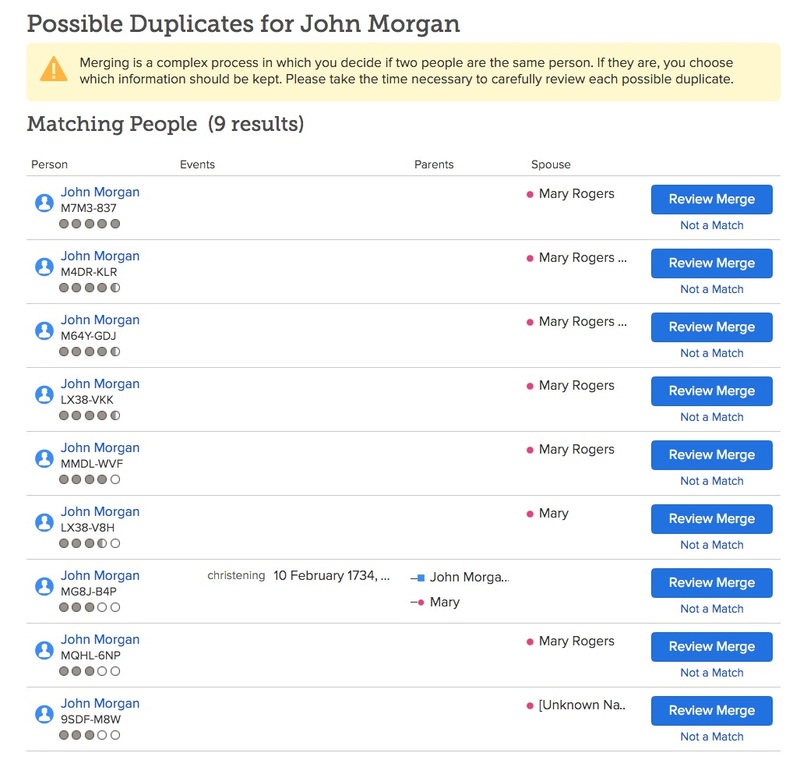 My Morgan line on the Family Tree goes back to 1700 to a person named "Capt. Richard Morgan" who happens to have no sources listed. However, the line actually ends with Garrard Morgan born in 1755 supposedly in Virginia, three generations earlier. Interestingly, the father shown for Garrard Morgan was supposedly born when his father was only 11 years old. 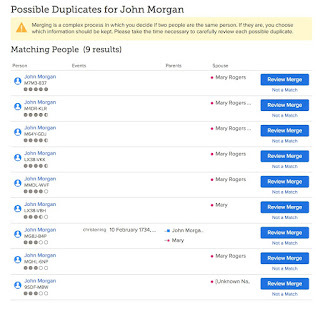 The John Morgan shown here has nine possible duplicates in the program. By the was this John Morgan is shown as being born in Shepardstown, Berkley, Virginia in 1734. If you bother to check, Shepardstown was first settled by Thomas Shepherd in 1734 where he established a town called Mecklenburg and was first given a charter for the town in 1762. Check it out. Irrationally, I could go back on every single line and except for the few that end before the fantasy takes hold, I could give the same, exact types of examples. Why? One of the most elusive topics for historical and genealogical research can be exactly, physically locating an event that occurred in the past. This is especially true of transient events that do not necessarily leave any physical remains. Depending on the local customs of time when your ancestor's lived, burials could have been made in very public or very private places. In the United States, it is not unusual for burial sites to be near churches but it is also common to find that families established their own private burial grounds. Tribune, Pamela Manson, Dj Summers And Cathy Mckitrick The Salt Lake. “Not Much Life Left for Utah Graveyards.” The Salt Lake Tribune. Accessed March 29, 2016. http://archive.sltrib.com/story.php?ref=/sltrib/news/56321559-78/cemetery-cemeteries-burial-plots.html.csp. “PCA Historical Center: Brief History of Fourth Reformed Presbyterian Church, Philadelphia, PA.” Accessed March 29, 2016. http://pcahistory.org/findingaids/rpcgs/4thrpc.html. The present location of the church is a row house development. A search in FindAGrave.com for Philadelphia County, Pennsylvania shows 365 cemeteries. The Fourth Presbyterian Burial Ground is listed as "defunct." My ancestor, William Linton, is now buried in the Westminster Cemetery in Bela Cynwyd, Montgomery County, Pennsylvania. Discovering this sequence of events required a trip to the Philadelphia City Archives in downtown Philadelphia. You may need to find journals, letters or other personal records for a description of the death and burial of some people. For example, as people in America migrated from the East Coast to the interior and west, it was not too unusual that burials took place along the trail. In most cases, the trails are well marked today and you can located many of the camping spots. If you have access to a journal or diary, you may be able to locate the stopping place where a burial occurred. 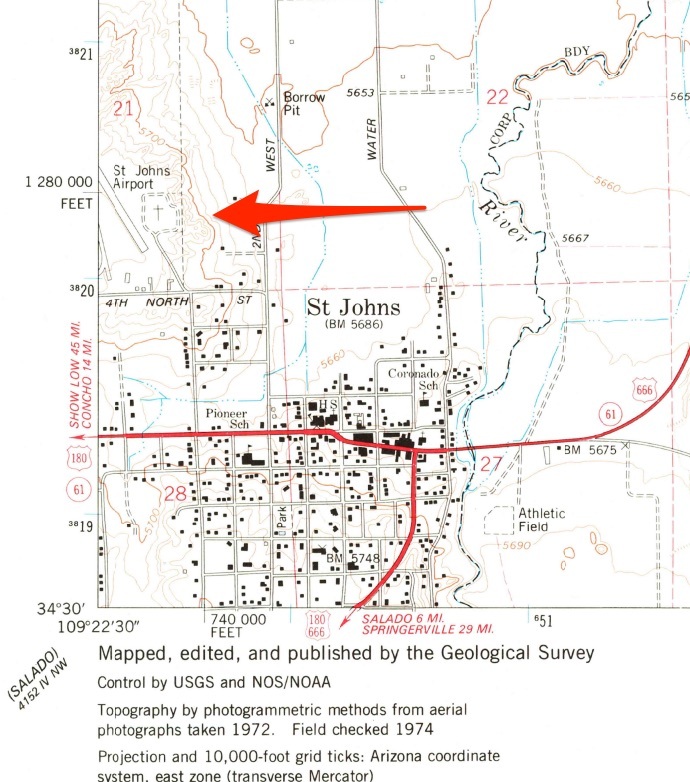 Some researchers have been successful in finding these unmarked grave locations, but in end, locating the grave or graves may require more information than it is possible to find. This burial ground is the oldest of three Tanner lots, located a thousand feet south of Laurel Lane, behind the green for hole number three of the Laurel Lane Country Club. It is 40 feet x 45 feet, in good condition, with no enclosure or historical cemetery sign. There are eighteen graves in this burial ground marked with fieldstones, six of which are crudely inscribed. James N. Arnold recorded this lot Nov. 10, 1880, his #233, “a short distance northwest from the above [SK 131] another yard of the same family in field without protection, rude stones.” He recorded nine inscribed and 18 uninscribed fieldstones, nine large and nine small [children], in what we have now divided into two burial grounds, SK129 and SK 130. The genealogy, William Tanner, Sr. of South Kingstown, RI and his Descendants by Rev. George C. Tanner (1910) has a plan of these three burial grounds on page 14 with the following text: This burial place of the early Tanners is on the original farm owned by William Tanner Sr., and in an open field near the ‘Great River’ [Usquepaugh River, aka Queen’s River] and a short distance from a walled grave yard [SK131]. The most north westerly grave is that of William Tanner, evidently, and marked with a rude granite field stone, with the simple letters, W. T. At the right are two graves, marked, M. T. and at the right of this, a second marked E. T. At the foot of these are four small graves, probably children of William Tanner, as the custom was to bury young children at the foot of their parents’ graves.” Eastward of these short graves are three graves, the middle one marked J. T., the one at the right with the marking indistinct, but may be J. T., that at the left, plainly marked S. T. There are undoubtedly the graves of John Tanner, son of William , and his first and second wife, Jean and Susannah.” Found, registered, and recorded by John Sterling & James Wheaton for a 2004 book on South Kingstown cemeteries. About sixteen paces west of the northwest corner of the walled enclosure and about twenty-three paces to the north are the graves of Josias Tanner, and at the right one marked A. T., Amy Tanner, and at the left of that marked J. T. one marked P. T., Phebe Tanner, wives of Josias [SK130]. From this description, I was able to locate the cemetery. Here is a photo of what my wife and I found on a visit. The rocks visible in the photo are grave markers where almost all of the inscriptions have been eroded over time and are unreadable. In order to find these locations, you will need to combine your historical research with maps. As I already mentioned, an online search that includes newspapers and books may give you a general idea of the location of a cemetery or the exact location with directions. In the end, you may also have to spend some time walking around and searching for the location. If you do decide to go to the supposed location and physically search for a cemetery, it is always a good idea to begin your search by talking to the local residents. I usually start with the public library if one is available. Sometimes the librarians can be valuable resources for local history. Be sure to dress appropriately for the area and weather. If the cemetery is in a remote location, make sure you follow the guidelines for off road travel. It also a good idea to understand any local customs or restrictions on accessing the burials. One interesting source for possible information about abandoned cemeteries is a website that lists ghost towns. One good source for photos and locations around the United States is the GhostTowns.com website. This site has a clickable list of abandoned towns across the country. Many of these locations also have individual pages on Wikipedia. From the Wikipedia page, you can get the coordinates of the former town and use Google Map's satellite view to pick out a likely burial ground. You can see that the street names are marked. There is a reference to the location of the Pithole cemetery on the FindAGrave.com website. Another way to find this same location is to use the United State Geological Survey, Board on Geographic Names website and search for cemeteries as a category. You can use this website to search for domestic as well as foreign locations. For example, if I search for the location of the Pithole City on the website, the search will give me the coordinates, but it will also give me the particular topographical map for that location. I can then go to topographic map to see if the cemetery is marked. 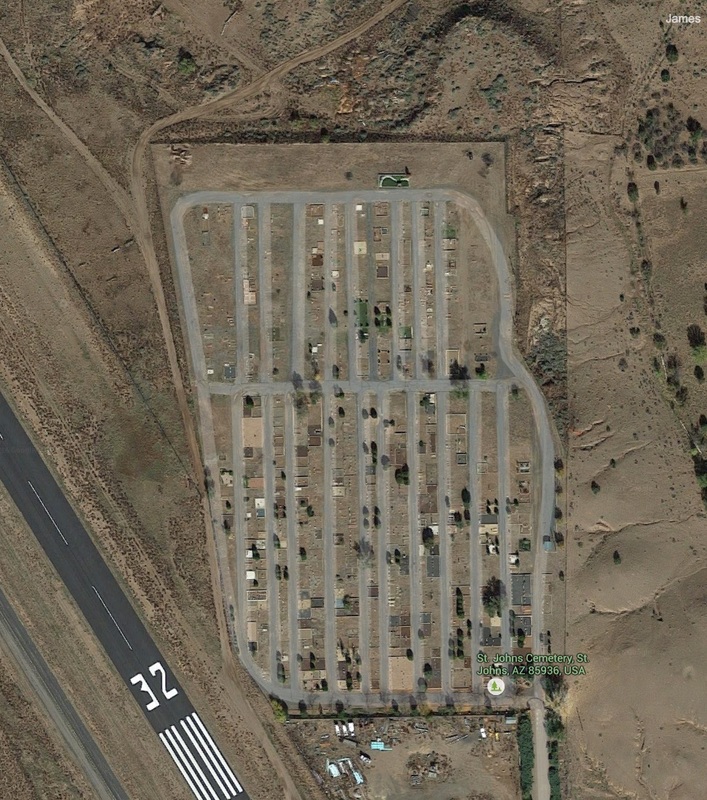 Here is an example of a town with a satellite view of the cemetery. Here is the same cemetery on a topographic map of the same town. To summarize, first do your homework online. Check for historical document or surveys that may list the location of the burial ground. The burial ground could be mentioned in diaries, journals, histories and any other documents that the town or the area where your ancestor may have been buried. 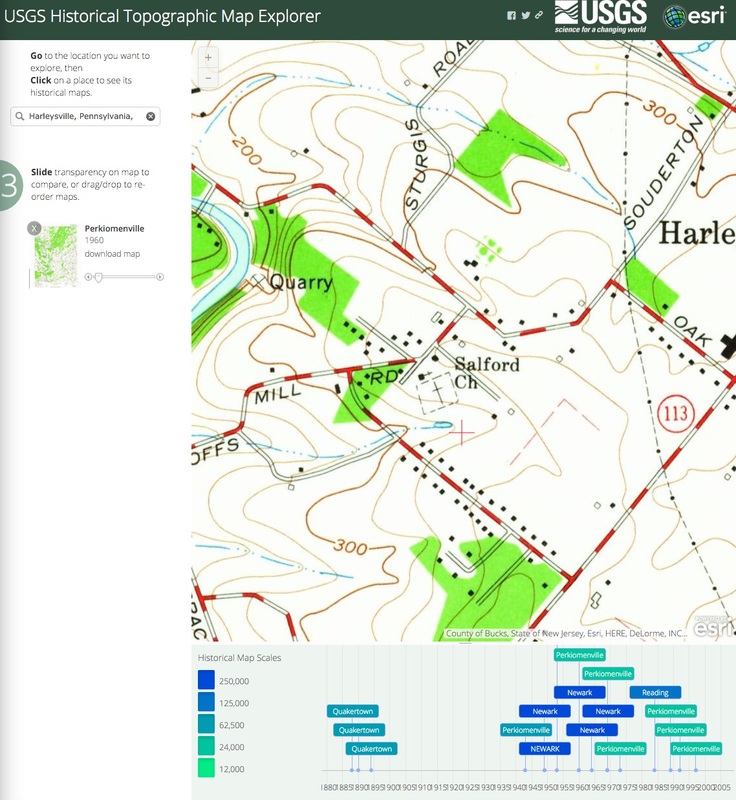 Using the name or names of the locations, look for the places on Google Maps, the USGS Board on Geographic Names and Wikipedia. If you find the place, you can use the geographic coordinates to find the location on topographical maps where the cemeteries might be shown. 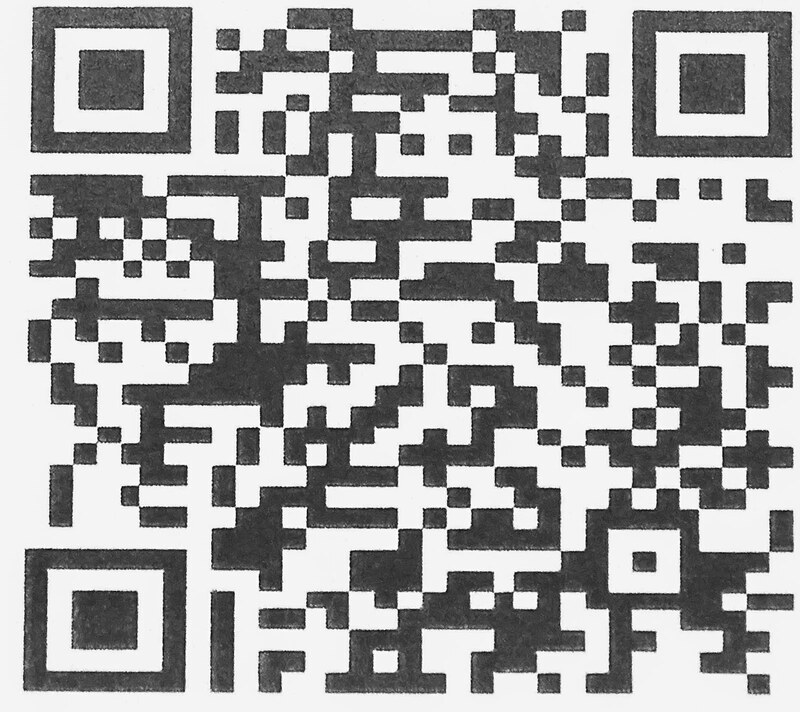 In addition, you can search of Google map view and satellite view to obtain even more information. Both of my parents died of dementia related conditions. My father had the classic symptoms of Alzheimer's Disease and my mother died of a condition known as Dementia with Lewy Bodies. I also suspect that my maternal grandmother and my maternal grandfather's mother all died from dementia related conditions also. In addition, my wife's mother also died from what we assume to be Alzheimer's Disease. All three of our parents had these conditions at the same time and died within a relatively short time of each other in care facilities after long declines. I worked closely with my father for the last ten years of his life. He and I were both attorneys and had been law partners for many years. The decline of our parents dramatically affected our family in many, mostly negative, ways. During all of this time, I was extremely active in genealogical research while I was still actively practicing law. I have been devoting full-time to genealogy since I retired from my law practice. I have often reflected on the progression of the symptoms of Alzheimer's as experienced by my father. From time to time, I calculate his age when the symptoms first appeared and wonder if my own life will follow the same path. I am more acutely aware of this issue as I reach the same ages as my father did when those symptoms started to appear. In this regard, I have examined the death certificates for a number of my ancestors. For example, the stories told about my Great-grandmother seem to indicate she had a form of dementia. The cause of death recorded on her death certificate and signed by a doctor is "Brain Hemorrhage due to Arteriosclerosis due to Old Age." The duration of the brain hemorrhage was "1 week" and the duration of the Arteriosclerosis was 10 years. I suspect that the diagnosis of arteriosclerosis was really dementia. Dolan, Hillary, Barbara Crain, Juan Troncoso, Susan M Resnick, Alan B Zonderman, and Richard J OBrien. 2010. “Atherosclerosis, Dementia, and Alzheimer’s Disease in the BLSA Cohort.” Annals of Neurology 68 (2): 231–40. doi:10.1002/ana.22055. “PubMed Central Link.” 2016. Accessed March 28. http://www.ncbi.nlm.nih.gov/pmc/articles/PMC3030772/. As I now go back through my genealogically acquired collection of death certificates, I find other references to arteriosclerosis among my direct line ancestors. Another example is my paternal grandmother's father who died of Lobar Pneumonia after 1 to 2 years of arteriosclerosis general. At the same time my parents were suffering from their decline, I was working at a large law firm that was extremely involved in elder law issues. Although not directly involved in the estate planning and care issues of the elder law practice, I was directly involved in elder abuse and disability cases. Part of my practices consisted of determining the mental state of people who were in possible abusive situations. Usually two of us from the law firm would interview potential clients to determine if they were actually being abused or exhibiting some signs of dementia or sometimes both. Subsequently, I spent more than ten years intensely studying anything I could find about dementia and Alzheimer's Disease particularly. Today, I find myself living in and associating with an extensive community of older people. Tragically, because of my extensive practical background in dementia related conditions, I frequently detect these symptoms among my present peer group. Now, I am beginning to investigate the connection between Alzheimer's and my interest in genealogy. I am particularly interested to see if what I can find in my genealogical research casts any light on this subject. Perhaps, I can find a qualified investigator who would like to collaborate on this particular subject? There is a suspected strong link between family history, heredity and Alzheimer's. Here is a quote from the Alzheimer's Association website. Another strong risk factor is family history. Those who have a parent, brother, sister or child with Alzheimer’s are more likely to develop the disease. The risk increases if more than one family member has the illness. When diseases tend to run in families, either heredity (genetics) or environmental factors, or both, may play a role. Scientists know genes are involved in Alzheimer’s. There are two types of genes that can play a role in affecting whether a person develops a disease—risk genes and deterministic genes. Alzheimer's genes have been found in both categories. “Alzheimer’s & Dementia Risk Factors | Alzheimer’s Association.” 2016. Accessed March 28. http://www.alz.org/alzheimers_disease_causes_risk_factors.asp?gclid=CjwKEAjwrOO3BRCX55-L9_WojHoSJAAPxcSPUOid6AZhWIPgBDhc80c7mgitdNJdhwPQfnSy9tqgxRoCdhHw_wcB. However, I have also seen the following from the Alzheimer's Association that would lead me to believe that running out and getting a genealogically related DNA test has little to do with the issue of Alzheimer's. I am not sure how helpful it is to know that you may have Alzheimer's risk factors. As I read the popular writing on the subject online, I find a lot of suggestions for activities that may help delay the onset of the disease, but many of these seem to be contradictory. I guess the main question I would ask is whether or not genealogy per se, can assist in understanding this condition. Perhaps I can use my blog to advance the thinking in this area? 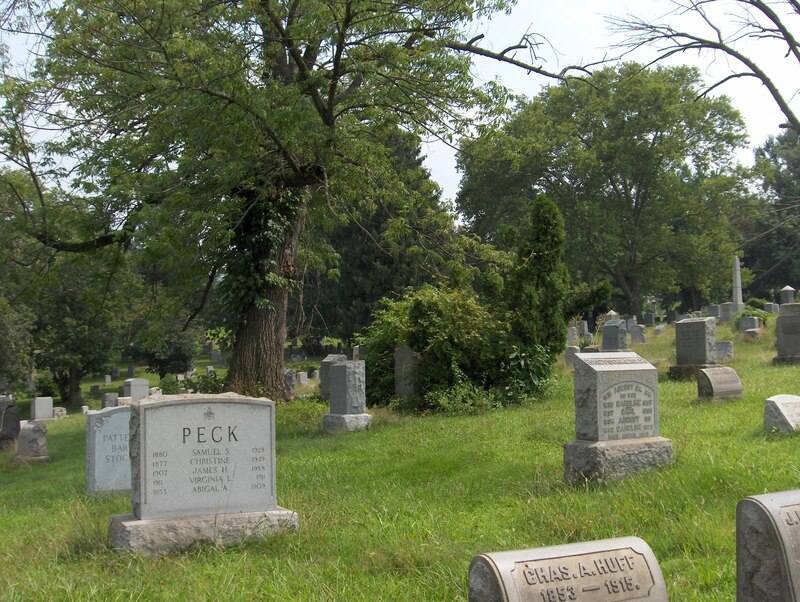 If you are looking for cemetery records, you should remember that a cemetery is a physical location and that cemeteries can be both publicly and privately created and maintained (or not maintained, as the case may be). They can also be abandoned and be destroyed. Cemeteries may also be located in rather strange or unexpected places. For example, there is a cemetery called the Neptune Memorial Reef, an under water cemetery that is located off the coast of Key Biscayne, Florida. Finding the burial records and locating the cemetery of an ancestor can be a challenge. I have an uncle, Henry Victor Overson, (b. 1899, d. 1986) whose death is well documented but for whom I have yet to find a burial record. In fact, I have not found an obituary or any other mention of his funeral or burial. The reason is likely that the largest cemetery in Phoenix, Arizona with tens of thousands of graves, where he is likely buried, has only been 77% photographed for FindAGrave.com and barely photographed by BillionGraves.com. 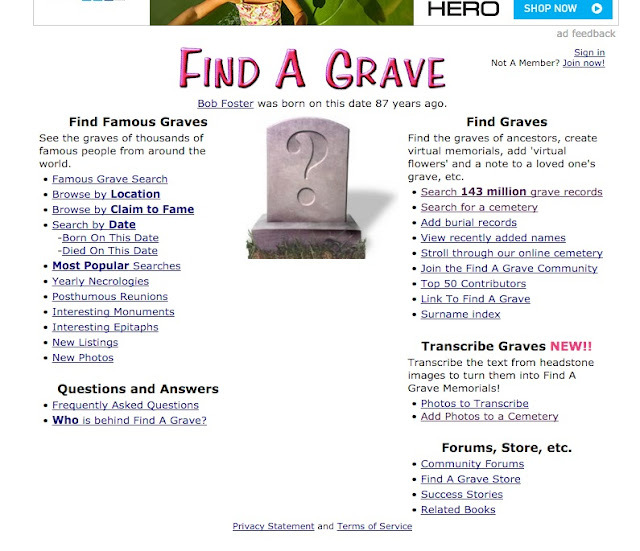 Of course, you can always begin a cemetery search using both FindAGrave.com and BillionGraves.com and an additional large online source, Interment.net. But you will soon discover, as my own example shows, that not all burials are listed in these large online cemetery database websites. In addition, searching online can be frustrating if you do not know the exact name of the cemetery. The words "grove," "garden," "memorial," and many other similar words are used repeatedly. As an example, there are approximately 490 cemeteries listed in FindAGrave.com that use the word "memorial" as part of their name and the same search on BillionGraves.com also produces a long list of results. Some of the other online sources for cemetery searches include the USGenWeb and you can also search in local cemetery lists that may appear online in a Google search. There is also the U.S. Department of Veterans Affairs, National Cemetery Administration, Nationwide Gravesite Locator. If you live in country other than the United States, such as the U.K., you may wish to search for your own local cemetery lists online. By the way, one large website in the U.K. is deceasedonline.com. Another resource in New Zealand is a list made by the Christchurch City Libraries, Cemeteries and Cemetery Records. 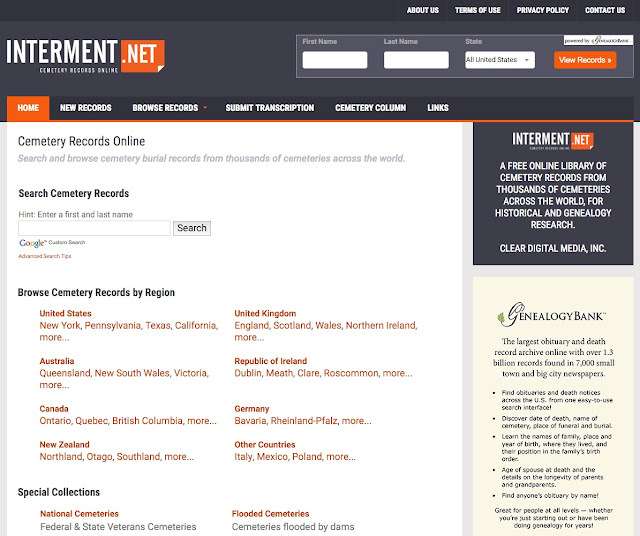 There are also online lists such as the JewishGen Online Worldwide Burial Registry. In short, online searches for cemeteries can be productive if you are persistent. Rather than repeatedly searching for the burial location, it is better to begin by researching other records that will more likely indicate where the individual died. However, many people are buried far from their place of death. For example, military personnel may die in a country other than the one where they were born, but their remains may be shipped "home" for burial. But even then, the remains may be buried in a military cemetery, far from the place where they lived or where the funeral was conducted. It is also common for people, even outside the military, to be buried far from their final residence. 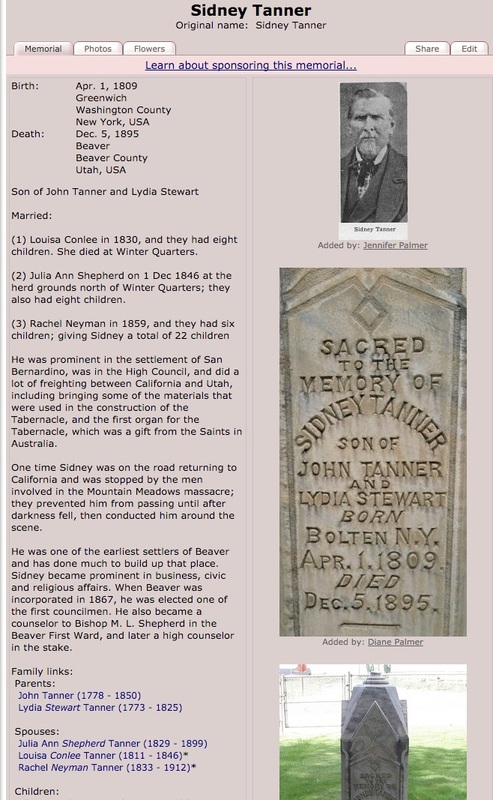 My Grandfather died in Pasadena, California and was buried in the family plot in Salt Lake City, Utah. This also suggests that searching for a burial may involve searching for an entire family rather than just one individual. It may seem obvious to search for an obituary. However, if you search directly for an online obituary, you will soon find that most of the existing obituary searches include listings for currently published obituaries or for only a few very recent years. Some of the earliest listings on the obituary websites only have listings that date back into the 1970s and 1960s. Large websites such as Ancestry.com have indexed records of older obituaries, but the coverage of the United States is very spotty. It is a good practice to search the larger websites for death information, but don't necessarily expect to find an obituary. At the same time, there are probably billions of pages of digitized newspapers available across the United States on hundreds of digital newspaper websites. Of course these online website include the obituaries. So rather than specifically focus on obituary indexes, expand your search to include all newspapers available in any given area. To see a list of available newspapers in the United States, you can refer to the Library of Congress' U.S. Newspaper Directory, 1690-Present. Finding an obituary that mentions the burial location in an online digital newspaper website is a good example of how all types of records work together to provide valuable genealogical information. Another example is of a way to find burial information and thereby locate the cemetery where an ancestor is buried using an online database such as Ancestry.com is searching for U.S. veterans gravesites or veterans' headstone applications. Usually, the burial information in these indexes identify the cemetery. Because of these interrelated records, it is impossible to list all of the online sources that could identify a cemetery. It should be obvious that locating and searching a cemetery is facilitated by knowing the deceased's last residence. In may parts of the world, if you know where your ancestor died and his or her religious preference, you can begin to guess where that person was buried. In the older and more settled parts of the United States, burial grounds are commonly associated with a particular church. This is particularly true along the East Coast in states such as Pennsylvania. In these cases, locating the church online will give you an idea of where the cemetery may be located and who to contact for information about the burials. Both churches and cemeteries are shown on a variety of maps including the United States Geologic Survey's huge online collection in the Historical Topographic Map Explorer. Here is an example of a portion of a map showing a church and a cemetery near Harleysville, Pennsylvania. The church and cemetery are near the middle of the map where you can see a red crosshair and it says Salford Ch. Once located on a topographical map, you can use Google Maps to see the exact location in a street view. 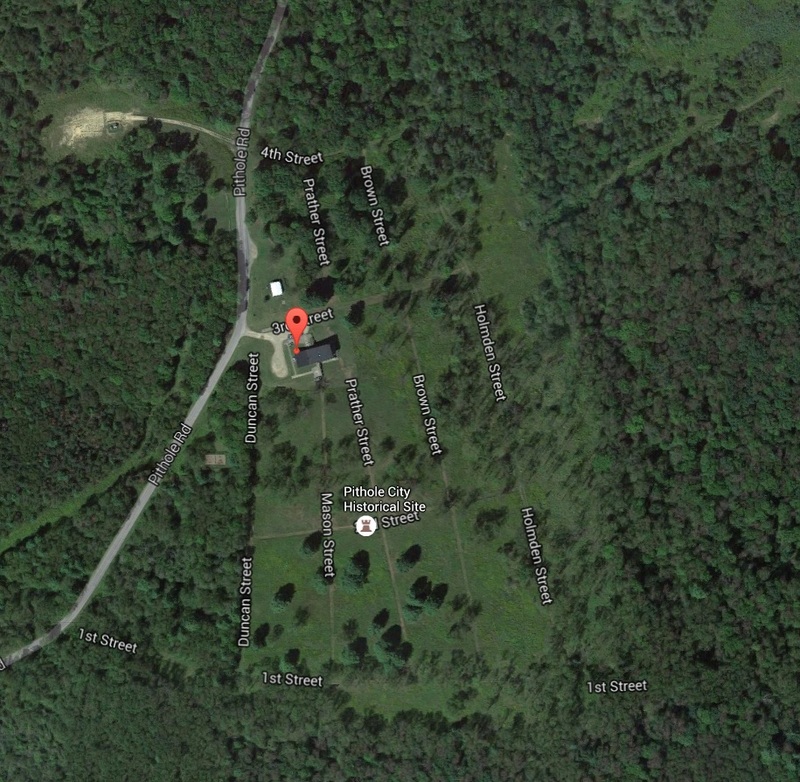 Here is a screenshot of the Google Maps view of the same location. 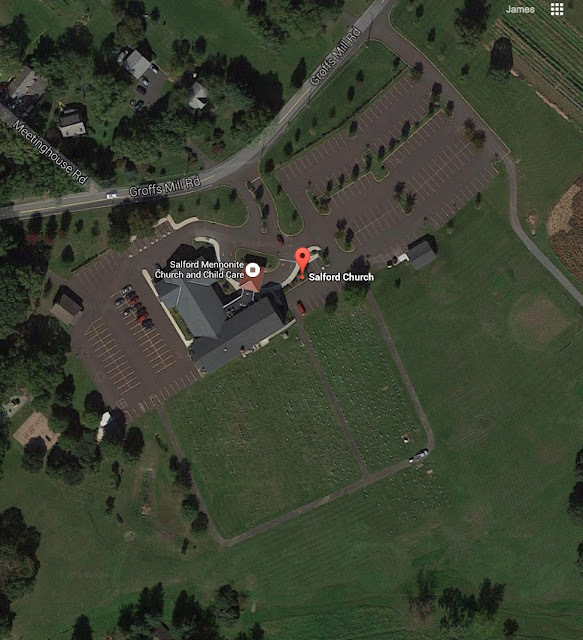 Here is a screenshot of the satellite view of the Church and cemetery. Before driving to any suspected location, it is a very good idea to do extensive online investigation of the roads and the possible access to the cemetery. You may also wish to contact the church or other responsible parties to determine any access restrictions. The records you are seeking for the cemetery, as in this example, may be maintained by the church. You might note that neither of the Google Maps identify the area as a cemetery, unlike the information contained on the topographical map. This is an area where the search can seem endless. There are so many types of records that could contain the crucial information from diaries and letters to large online database programs. The key here is to keep searching. The Provo Daily Herald for Friday, March 11, 2016 ran this article on the Brigham Young University Family History Library and the series of webinars that are being posted online on the BYU Family History Library YouTube Channel. 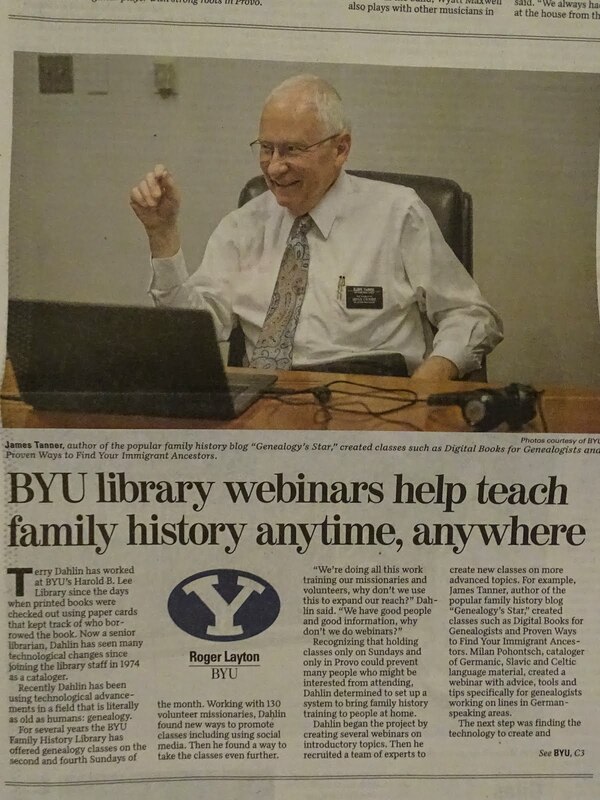 That article was followed up by one today, March 25, 2016 in the BYU Daily Universe, the on-campus newspaper. This past week, we have posted 18 new videos to the BYU Family History Library Channel. We have had a few technical difficulties in uploading the videos but we are getting all of them straightened out. According to GenealogyInTime.com's calculation of the number of online visits, FindAGrave.com has become the second most visited genealogy-related website in the world after Ancestry.com. 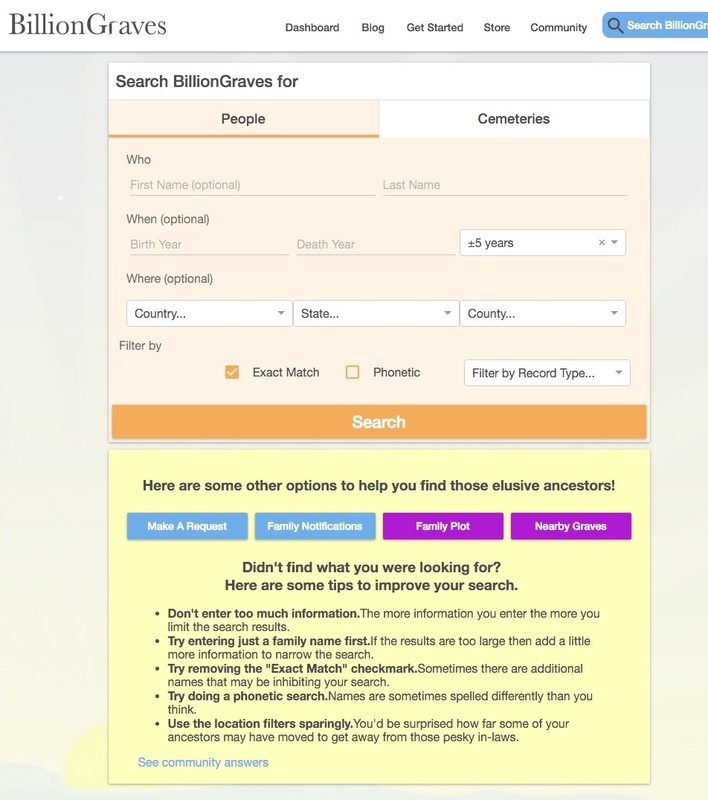 With 143 million grave records, in my opinion, it is likely visited by many people outside the genealogical community who are simply interested in finding a grave of a friend or family member, but it also an important tool for genealogical research. 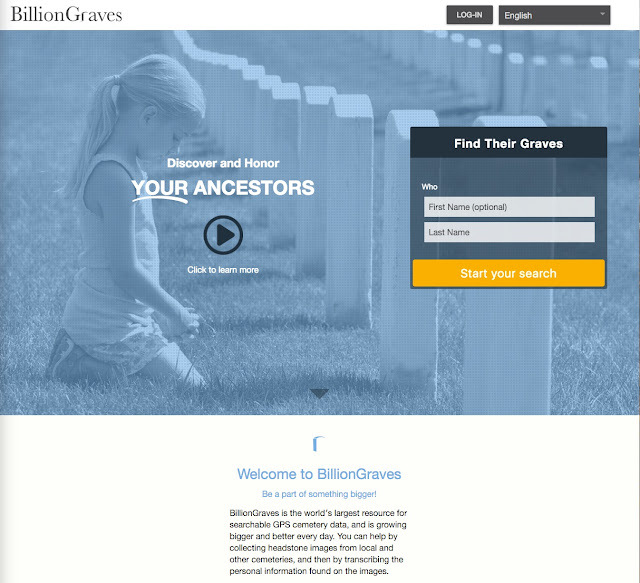 FindAGrave.com was purchased by Ancestry.com in September of 2013. It is presently a free website. The content of the website comes from individual and organizational volunteer contributors. 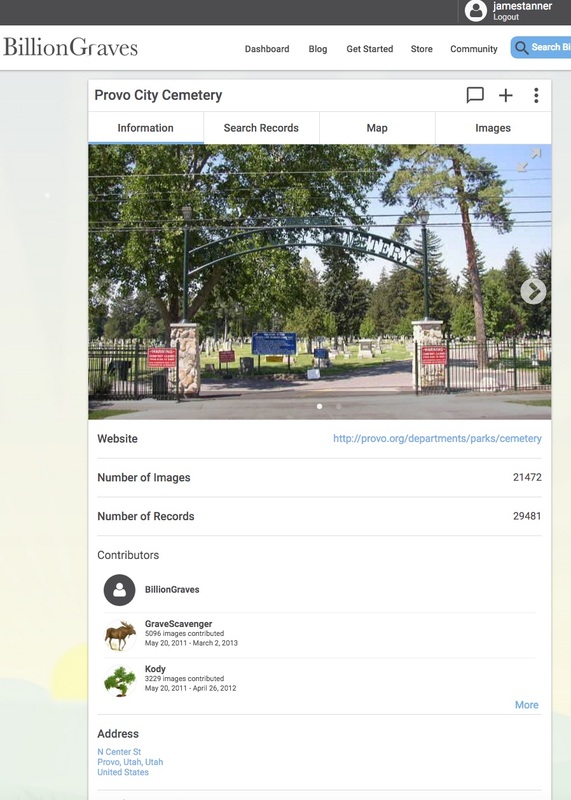 The page may contain as little as the name of the deceased and the name of the cemetery or as much as an entire biography with links to other family members who are registered in FindAGrave.com. 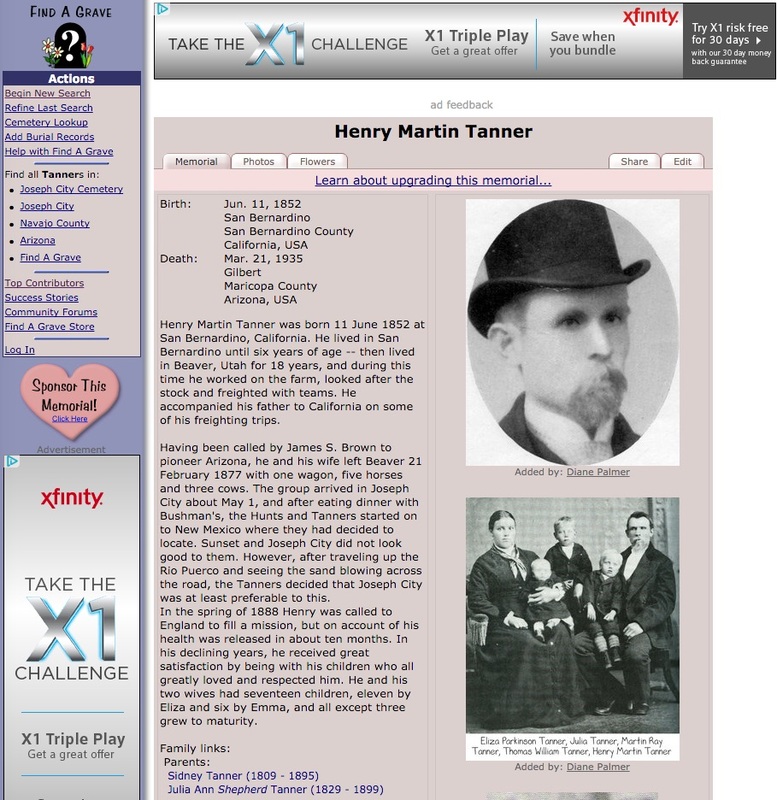 Here is a screenshot of the links for Henry Martin Tanner. Normally, the program will contain a photo of the deceased's grave marker. In this case the photo of the grave is on the Photos page. As you may be able to tell from some of the screenshots, because of its popularity, the website makes money by advertising products and services. Since the information is user contributed and usually lacks any source citations. any information that appears on the Memorial page will be verified by careful researchers. You should always be aware that because grave markers are usually fabricated some time after the death date, the information on grave markers including birth and death dates, may or may not be accurate. But in some cases, the grave marker inscription may be the only record available containing information about the date of birth and/or death. Generally, information supplied by users of any online genealogy program without source citations, including the information on the grave marker itself, should be considered unreliable until it is further substantiated by other sources. If the FindAGrave.com program contributors have supplied source citations, even then, those sources should be checked to verify that the information was extracted correctly. 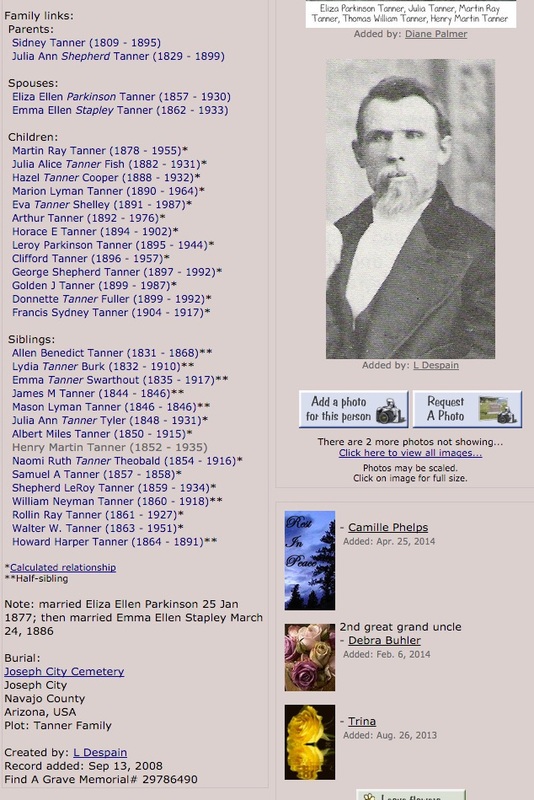 If you look at the list of family members above from the screenshot of the Memorial Page, you can see that it reports that Henry Martin Tanner had two wives. There is also a list of 13 children, but other genealogical records show that he actually had 17 children. In the FindAGrave.com Memorial the children belonging to each wife are not identified and the list contains some of the children from one of the wives and some from the other. There is also a list of siblings. His father, reported correctly as Sidney Tanner had 23 children. Of those, Henry had 7 full-siblings and 16 half-siblings. The program only lists a total of 14 siblings. The information in the program indicates that 6 of the siblings are half-siblings and the remaining ones are assumed to be those of the listed wife, Julia Ann Shepherd Tanner which turns out to be correct according to other sources. Some of the full names of the listed family members is not provided, even though that information is easily obtained. In short, the information supplied is helpful, but should not be assumed to be either complete or entirely accurate. Carefully done genealogical research requires a source or sources for every asserted piece of information. For example, the details of the story related by the FindAGrave.com contributor may be found in the following book, available in PDF format for free from the FamilySearch.org Books section. Tanner, George S. 1964. Henry Martin Tanner; Joseph City, Arizona Pioneer, Born June 11, 1852, San Bernardino, California, Died March 21, 1935, Gilbert, Arizona. [Place of publication not identified. The information given by the FindAGrave.com program may be informative, but details, dates, places and names need to be further documented. The location of the individual graves listed for other family members may give some idea of the places where the family lived thus providing clues to additional documents. Unfortunately, the only way to see the location of each of the family member graves is to visit each linked Memorial Page. 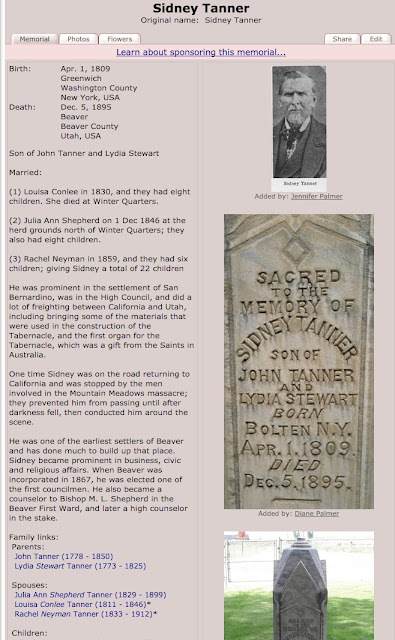 For example, here is a screenshot of a part of the Memorial Page for Sidney Tanner, Henry Martin Tanner's father. Some of the same comments I made about the Memorial Page for Henry Martin Tanner apply to this page for his father, Sidney Tanner. 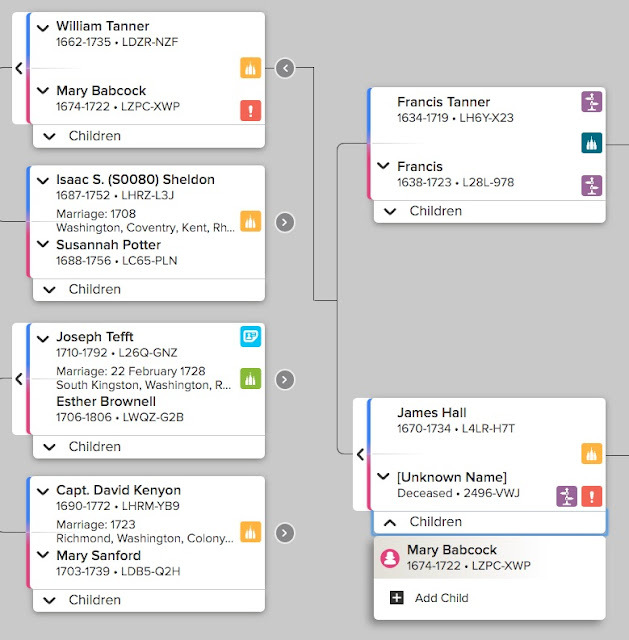 As shown on Sidney's Detail Page on FamilySearch.org, he had four wives and 23 children. 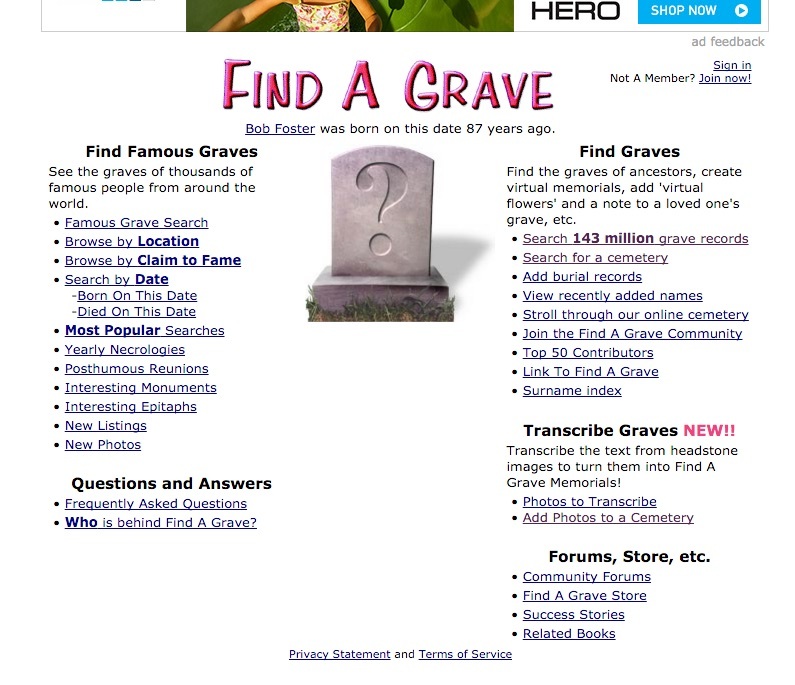 The information on FindAGrave.com is incomplete. These observations apply to all unsupported user contributed online websites, including the vast majority of the online family trees. Information is copied and passed around the web without users either questioning its accuracy or completeness. As valuable as FindAGrave.com can be, genealogical researchers need to view it as a starting point for further research. The FamilySearch.org Research Wiki has undergone a major facelift. Changes to the Research Wiki have been pending for years and the makeover will add a lot of on-screen territory to the pages. When it was first introduced back in 2008, the Research Wiki was unknown and almost impossible to find. 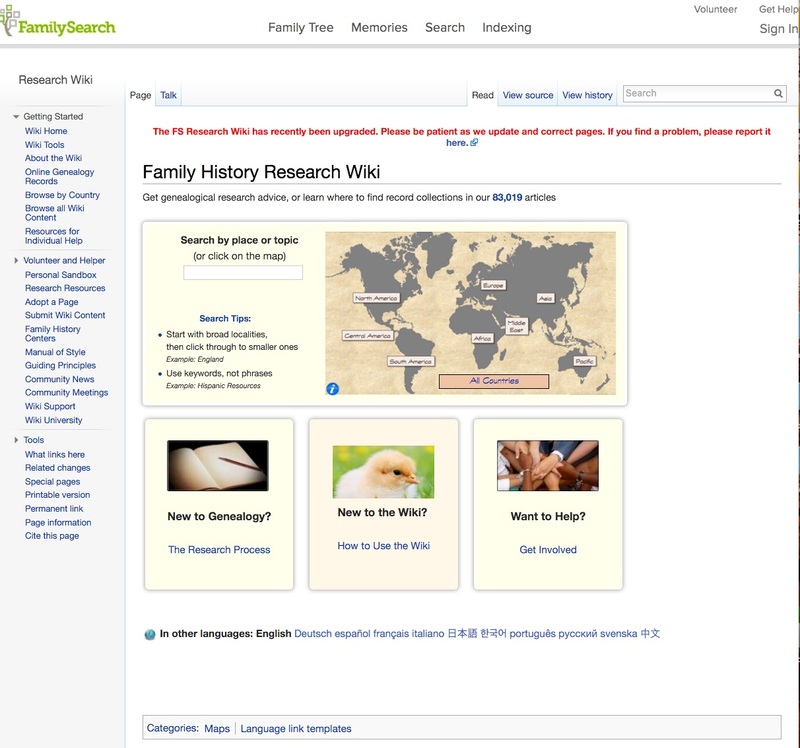 Slowly over years, it has moved to its place of prominence in the FamilySearch.org Search tools. 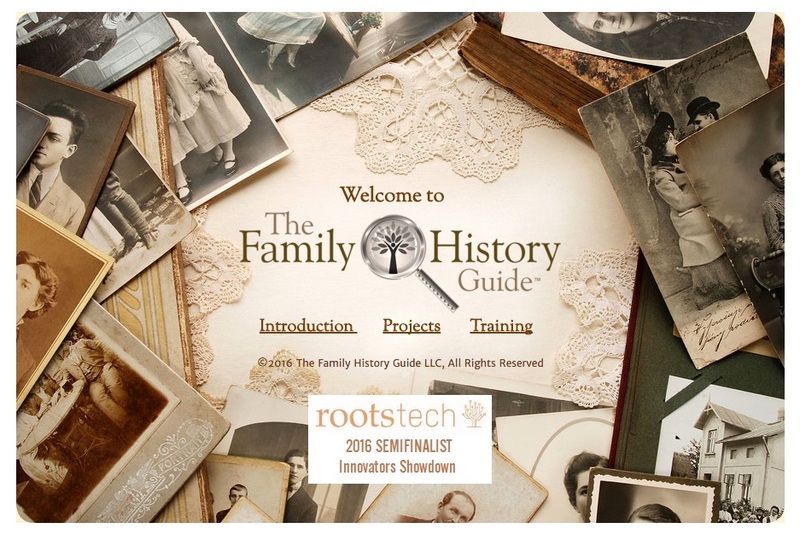 This vast genealogical reference work recently passed the 83,000 page mark and continue to accumulate valuable data about the entire process of genealogical research. The changes to the Research Wiki include the following as taken from a recent email announcement from FamilySearch. All articles will be retained in the new upgraded version of the Wiki. Navigation has changed from the right side of the screen to the left. Country and State pages are being redesigned for easier use. This redesign will take place as close to the time of the new release as possible, but may not be completed when the upgrade takes place. The URL for the Wiki has been changed for better usability to https://familysearch.org/wiki/en/Main_Page. The Rich Text editor will be replaced with an easy-to-use Visual Editor. The upgraded version of the Wiki will be editable in all browsers, including Chrome. The changes will be ongoing, but should not interfere with the use of the Research Wiki's content. With its expanded browser user base, I suggest that more users may wish to become involved in editing and adding content to the Research Wiki. 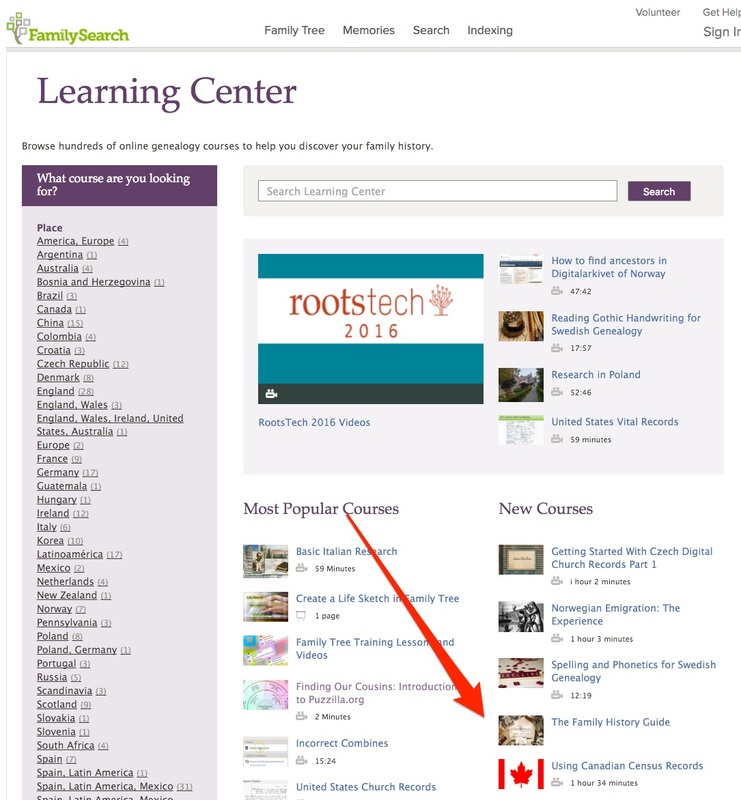 If you are unfamiliar with the content, I further suggest this is a good time to become acquainted or reacquainted with the most valuable tool on the Internet for genealogical information. 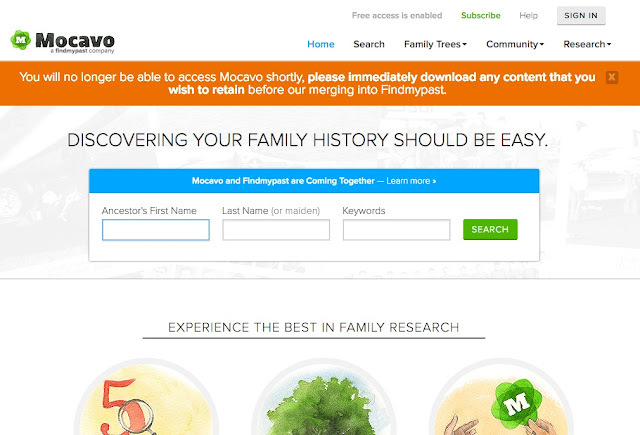 At one time, Mocavo.com was an upcoming competitor to the "Big 4" online genealogical database programs. They were acquiring new collections of records at such an astounding rate and I predicted back in 2014, that they would soon create the "Big 5." 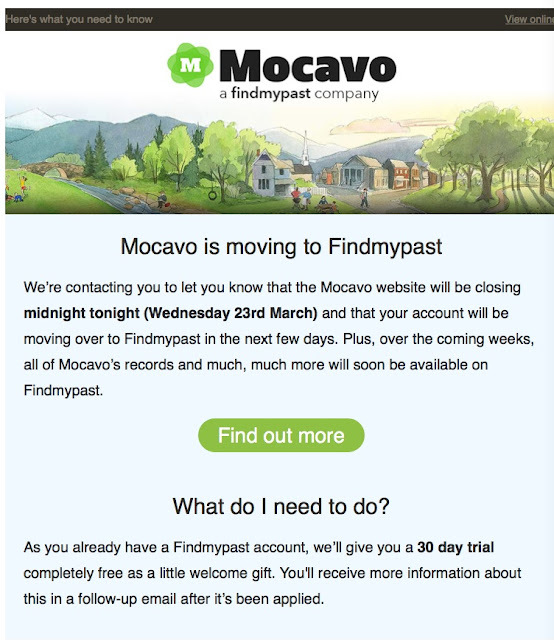 In June of 2014, Mocavo.com was purchased by Findmypast.com. The new announcement indicates that the present content of Mocavo.com will be "merged" into Findmypast.com. This move greatly expands the Findmypast.com database and helps it become a major supplier of unique U.S. resources in additions to its impressive records from England, Scotland, Wales, Australia, New Zealand and Ireland. The termination of operation the Mocavo.com website is another incident in the ongoing evolution of resources on the Internet. It also highlights the economies of scale experienced by very large, online database programs. 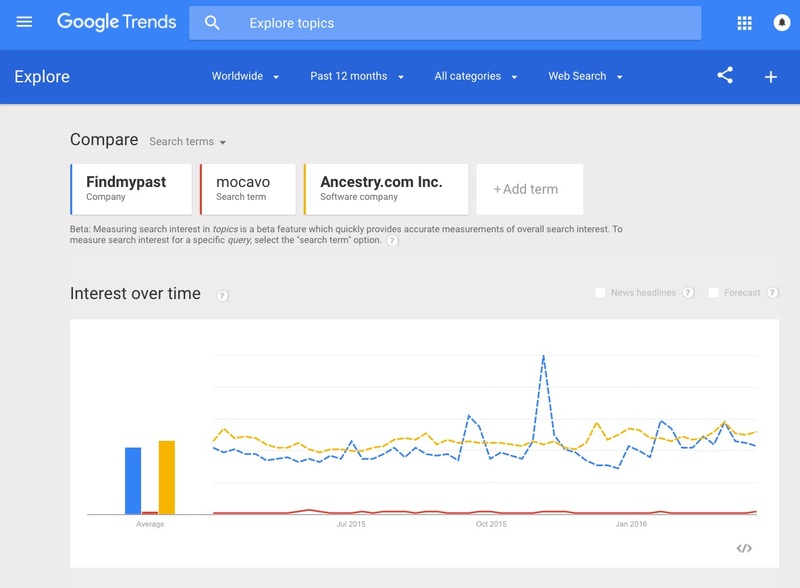 As shown in the following Google Trends graph, Findmypast.com has been running very close to Ancestry.com in the frequency of searches. 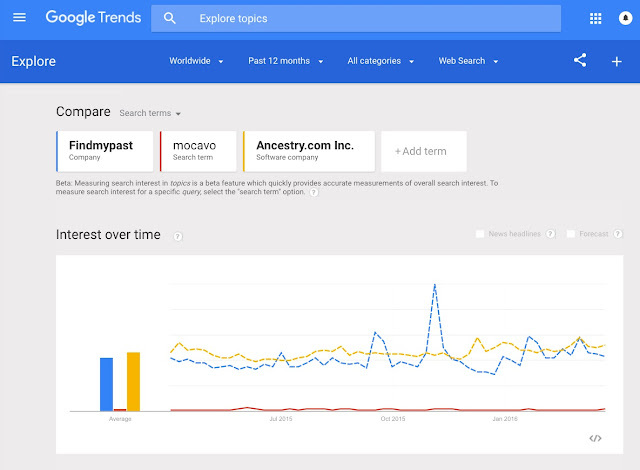 The addition of substantial collections of primarily U.S. based resources should assist Findmypast.com to increase its market position even though Mocavo.com has a comparably lower level of online presence. This type of change should forewarn genealogists of the need to backup all of their data. Keeping all your genealogical eggs in one genealogical program can be hazardous and even the larger companies may discontinue their databases at any time. In the past, such acquisitions, such as Ancestry.com's acquisition of Footnote.com that became Fold3.com, have been used by the companies to create separate "profit centers" in the form of individually subscribed database websites. I hope the reference to a merger of the information as shown in the notice on the Mocavo.com website is accurate. 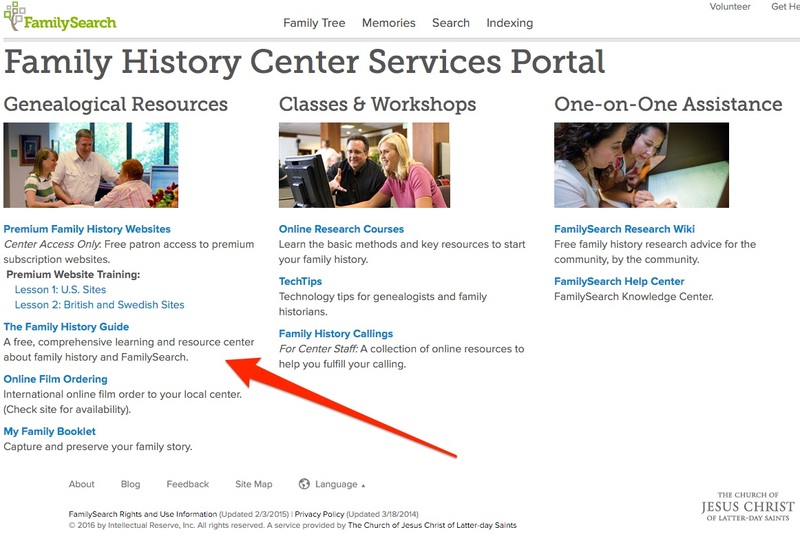 I think the existence of a separate fee-based website is not nearly as useful to those of us in the genealogical research community as are the larger consolidated websites. Of course, another fee-based website may be more monetarily profitable to the larger companies. I note that a now, old news story from 2015 indicated that Ancestry.com was up for sale by its owner, Permira Advisers LLC. It would seem to be a possibility that Findmypast.com (owned by D.C. Thomson and Co. Ltd) would be in a good position to acquire Ancestry.com. If that were to happen, the consolidated company would easily be the largest online genealogy company in the world. Although Ancestry.com claims that position now, I suggest that MyHeritage.com may be larger or in a good position to become the largest online genealogical database company in the near future. Then again, maybe Ancestry.com has become so profitable that Permira no longer wants to sell? The Mocavo.com website is being deactivated as of midnight, 23 March 2016. The announcement does not indicate the time zone, so I suspect it is GMT. Mocavo.com was purchased by Findmypast.com in June of 2014. As indicated by the announcement, all of the resources now available on Mocavo.com will be moved to Findmypast.com. This is a major addition to the resources of Findmypast.com and puts them in a much stronger position with regard to resources in the United States. Who are we? Along with the difficulty in defining genealogy at all, this is one of most interesting questions about being a genealogical researcher. The Mesa FamilySearch Library recently held a conference in Peoria, Arizona, on the westside of Phoenix, Arizona and gathered some interesting statistics on those who attended. 73% of the attendees were female and only 27% of the attendees were male. These numbers roughly correspond to my own observations. I could speculate as to the reason that the make up of the genealogical community is heavily populated with females, but my opinions would be dismissed as biased and unscientific. But in any gathering of genealogists, you are more likely to see a predominance of women over men. One obvious conclusion about the male/female relationship is likely the age factor. More women live to old age than men. According to The Henry J. Kaiser Family Foundation study, "Life Expectancy at Birth (in years) by Gender," on the average women live 5 years longer than men in the United States. I would think you would have to discount the attendance numbers by the number of men who came to the conference simply because their wives required them to tag along. It is also interesting to note that the percentage of the total population of the U.S. over 65 is only about 14% so the number of women over 65 involved in very disproportionate. See The World Bank, Population ages 65 and above (% of total). My own observations of the number of younger people involved directly in genealogy would place the number far lower than these attendance figures might imply. There are quite a few large, online database programs that list cemeteries. In addition, there are an even larger number of online lists, books and other publications that have lists of burials. In a few of the publications, the cemeteries are both clearly identified and have specific directions for determining the location. Even a fewer number of the publications and websites contain maps of the locations of the graves. The very large and rapidly growing website, BillionGraves.com, addresses the main issue in locating graves. All of the graves are marked and mapped with their exact geographical coordinates and by using a GPS equipped mobile device, you can navigate directly to any of the graves listed. 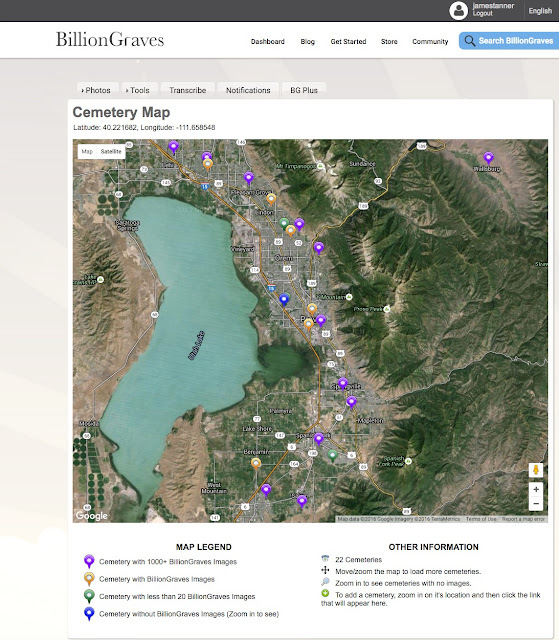 All of the cemeteries identified in the program are located on an interactive map. 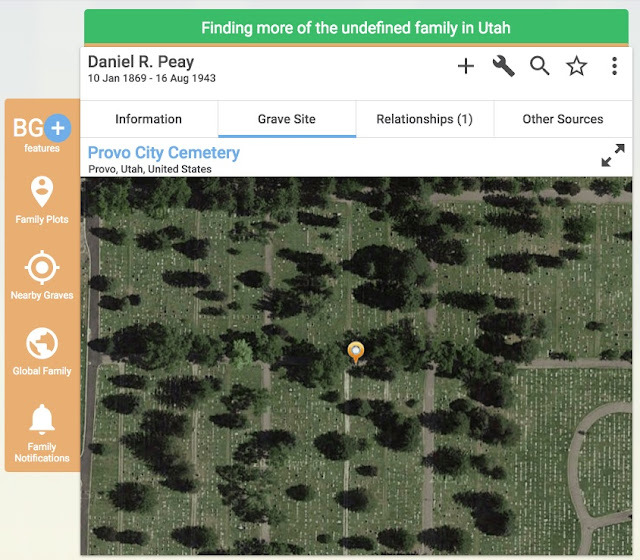 Here is an example of a screenshot showing the cemeteries in Utah Valley around the town of Provo, Utah. 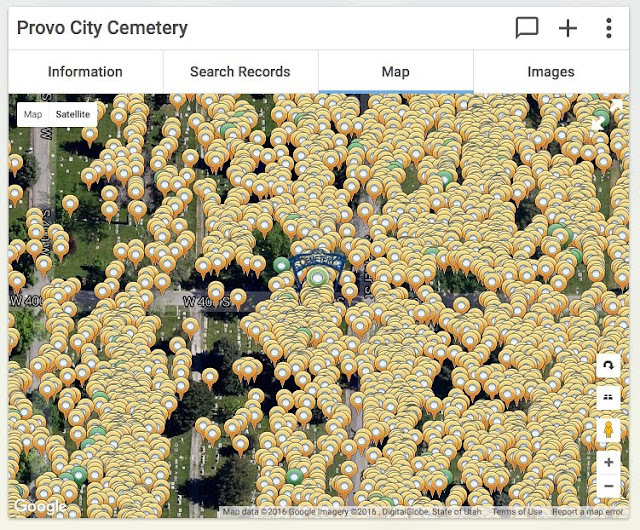 You can zoom in to accurately locate any marked cemetery. Here is a screenshot of the page for the Provo City Cemetery. You might note that there are 21,472 images of graves and every singe grave is marked on a map and located with its geographical coordinates. 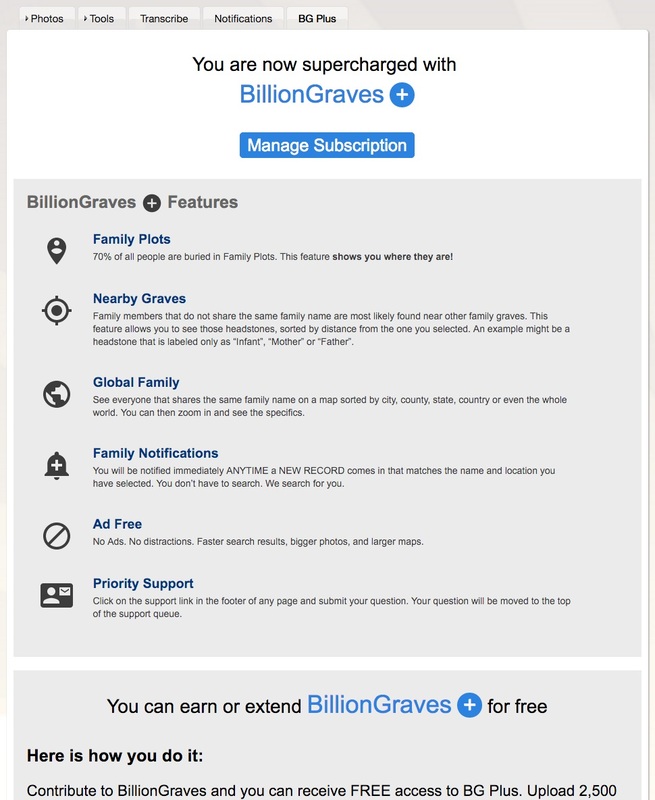 This information comes from the fact that entries into the BillionGraves.com website are made by using smartphones or tablets that are GPS enabled. As photos are made by the website contributors, the images are automatically uploaded to the website where the images can be transcribed. Here is a screenshot of a map of the Provo City Cemetery showing the gravemarker groups with the number of markers in each group. By zooming in on the map, you can see the markers for individual graves. If you continue to zoom in, you can ultimately see individual graves. If you search for a specific grave or select an individual grave marker, you can see the information available about that grave. 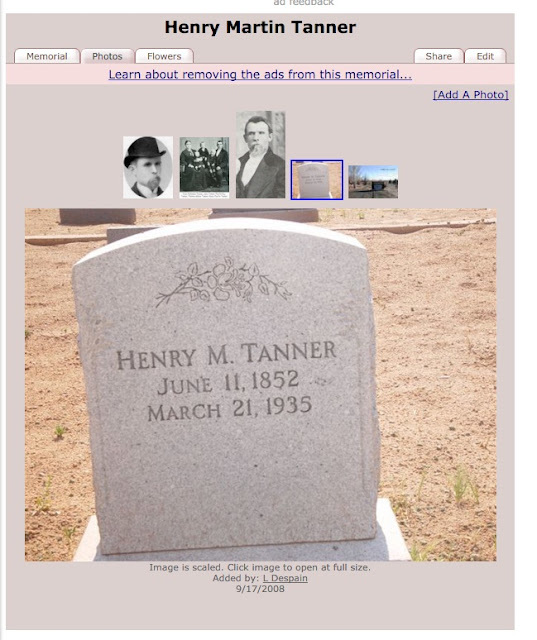 Here is a screenshot showing one individual grave. The website is free to search and view the maps and grave information. There is a subscription-based Plus version that adds some extremely valuable features including identifying family plots within the cemetery, showing the identity of nearby graves, a map locating everyone with your same family names sorted by city, county, state or country. Here is a screenshot of the BG+ feature page. When visiting a large cemetery, you may find it quite difficult to locate a specific grave even with a map supplied by the cemetery's sexton, if such a map is available. Using a smartphone with GPS enabled, you can walk directly to a grave. Here is a screenshot of the search page. Here is the grave of my Great-grandfather, Henry Martin Tanner. 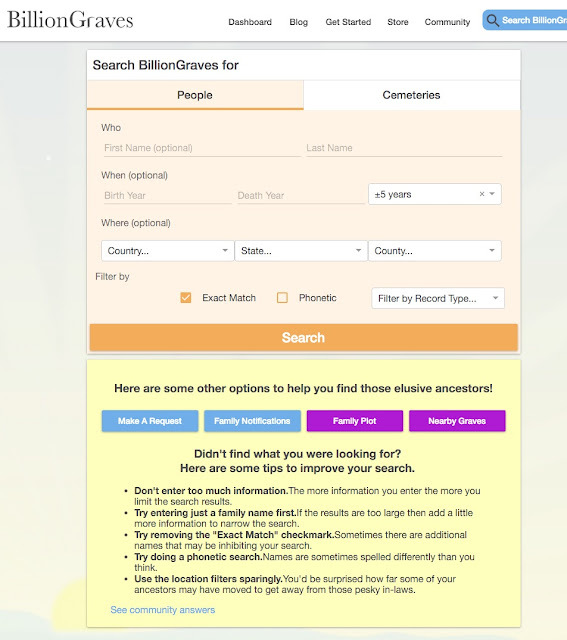 I have the BillionGraves+ version of the program, so I can see a list of all of the 133 people with the Tanner surname buried in cemeteries in Arizona. 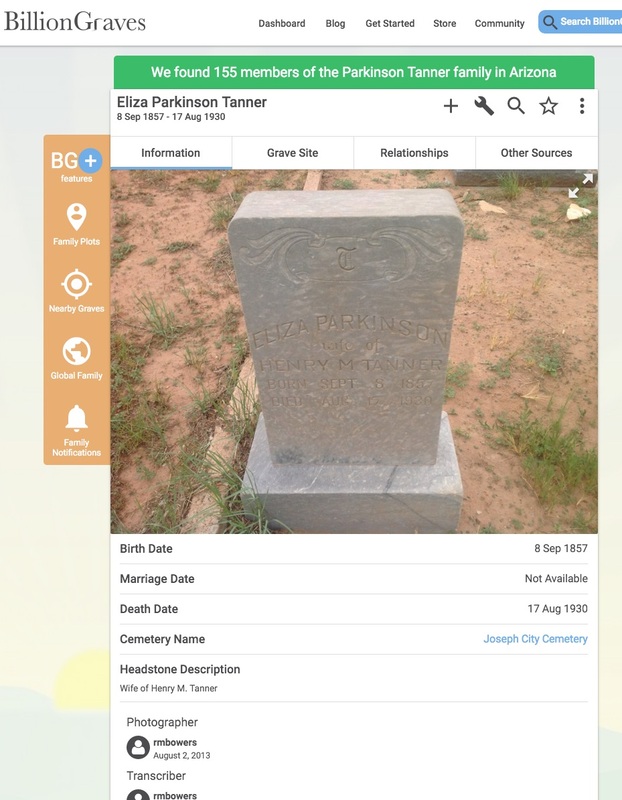 In searching through the list, I find the grave of my Great-Grandmother, Eliza Ellen Parkinson Tanner. 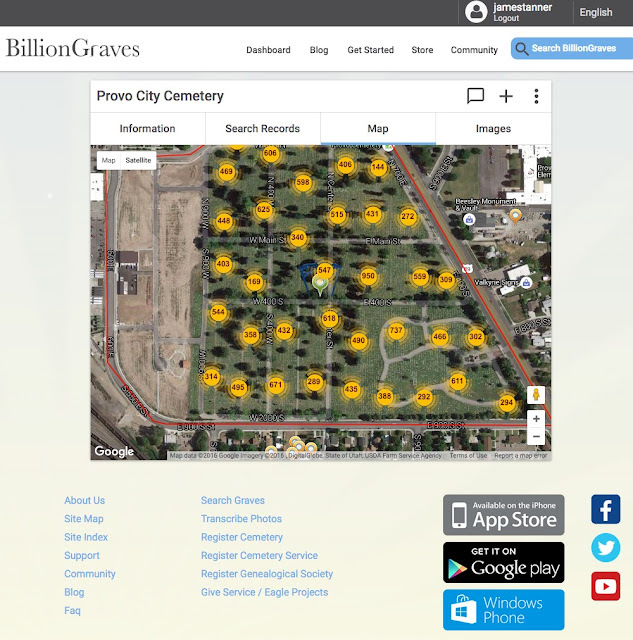 I examined some of the other very interesting features of the BillionGraves.com website in a recent blog post entitled, "BillionGraves Plus adds powerful new analytic tools."